Good news to all Malaysian who has PayPal account! You can now withdraw you PayPal account to you local bank account in Malaysia. Previously, Malaysians can only withdraw their money using debit card and the withdrawal is quite high too. In order to lose less than 1% of total money withdrawn, you need to withdraw at least USD100 to minimize the loses in transaction fee. PayPal now offers better option to Malaysians. You can now withdraw your money for a withdrawal fee of RM3 for amount RM40 (minimum withdrawal) to RM400. 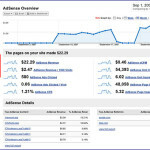 Withdrawal fee for amount of more than RM400 is free! To add a Malaysia bank account to your PayPal account, login into your PayPal account, click Profile > Add/Edit Bank Account. Fill in you name, bank name, MEPS bank routing code, bank account number, re-enter bank account number and click continue for confirmation. 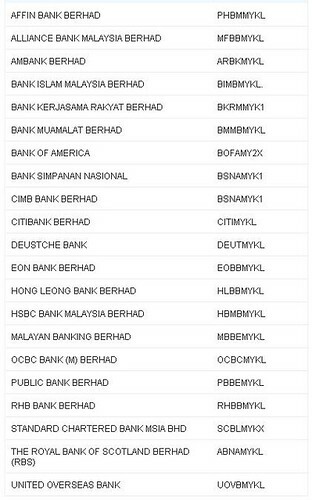 If you are not sure what is the MEPS bank routing number for your bank, simply click on the Details link next to the MEPS bank routing code text field, a list of major banks’ routing code in Malaysia will be shown. 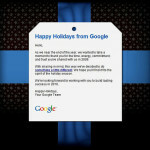 Happy Holidays from your Google team!